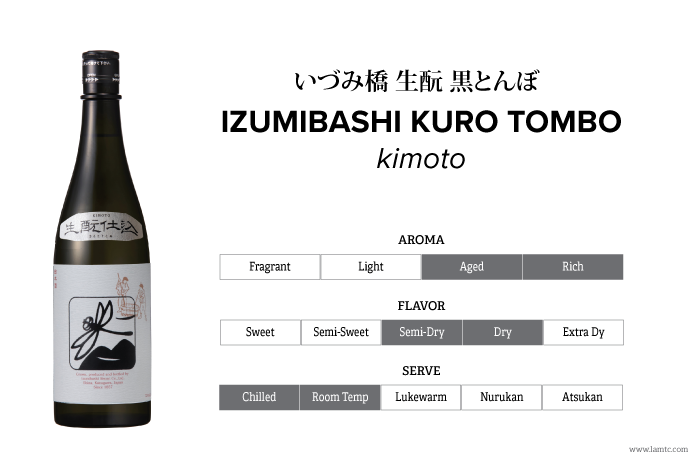 Aged in the brewery for more than 2 years, this Junmai Sake is made with the Kimoto method. Using 100% Yamadanishiki rice grown in Kanagawa Prefecture by a contract farmer, for a brew that incorporates the age-old traditions. A subtle, mature nose, and savory sweet umami flavor that opens up gently. Without any rough edges, it is also recommended served slightly warm before a meal.